Septuagenarian Tong Yang-tze has long stood at the cutting edge of her era, bringing Western techniques of composition to the narrow confines of Chinese calligraphy. Her unruly character forms, energetically applied to paper, have lifted contemporary calligraphy from traditional handicraft to modern art. She aims to pass along the art of calligraphy to the young, and her calligraphy in recent years has grown only more playfully unruly, as she has deconstructed her characters’ brushstrokes and brought them to the realms of fashion, jazz and multimedia. In the process she has given calligraphy, an art richly imbued with ancient Far Eastern aesthetics, a new life in the Westernized era of today. Famous calligrapher Tong Yang-tze holds the spirit of an artist and the cultural concerns of a proud East Asian. The renowned architect Eric Yao, who has known Tong for 20 years, says, “Most notably, Tong is very persistent in finding the meaning inherent within Chinese characters.” She takes beloved traditional calligraphic styles, such as official script and standard script, and breathes new life into them, erasing the boundaries of traditional calligraphy via modern interpretations. In truth, Chinese calligraphy, a classical art that has been passed down for thousands of years, holds greater meaning than simply serving as an important representation of Asian and Chinese culture. Calligraphy is a product created by hand. It represents the application of human effort to a soft brush and flowing ink that renders unique versions of textual symbols on paper. As opposed to the Western emphasis on “man gaining mastery over nature,” it adheres more to the attitude expressed by ­Laozi in the Dao De Jing: “The pliant and weak triumphs over the hard and strong.” Behind calligraphy, there are profound Asian insights. Tong does not so much fear the loss of calligraphy, as worry that in modern, Westernized society, we are slowly but surely losing cultural roots of which we should be intensely proud. Consequently, she frequently looks to foster cross-disciplinary collaboration through calligraphy as she transmits this constantly evolving cultural tradition to the younger generation. Tong doesn’t regard herself as a calligrapher per se. From the standpoint of art, she believes that ancient Han- and Tang-Dynasty calligraphic styles can be moved into the present day, but she aims to give them a greater variety of forms and expressions that will help to raise calligraphy from the stuff of historical records to the realm of art. From past works of hers that she had rejected, she picked out a total of 100 that she felt had satisfactory parts, and in late 2011 created an exhibition of core calligraphic components entitled “Silent Symphony, Musical Calligraphy.” Those deconstructed brushstrokes ended up looking like a series of captivating abstract paintings, challenging people’s preconceptions about calligraphy. 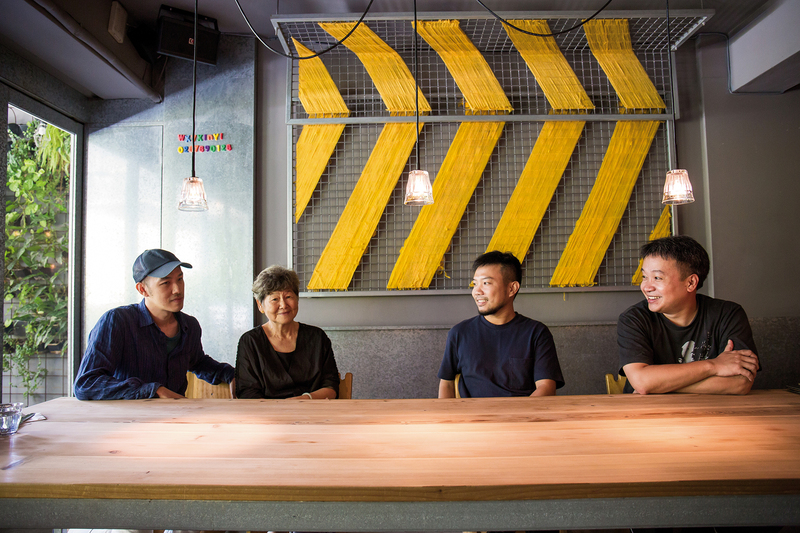 Eric Yao, who curated the exhibition, invited pop singers, including Cheer Chen and May Day’s lead singer ­Ashin, to find musical inspiration from looking at Tong’s works. Yang then matched the calligraphies with the music. The exhibit ended up attracting many young people who might have originally held negative impressions of calligraphy to come and enjoy. Calligraphy involves character forms, the mixing of ink, the rendering of ink marks, the overall arrangement of brushed black ink and blank white paper, the sound of the characters read aloud, and the aesthetic beauty that comes with works that are created in one go without any possibility of revision. Add to that mix Tong’s frenetic lines, and the result is a rich artistry well suited to different creative realms. Reinterpreted by a young generation of musical artists, classical calligraphy has been given a youthful twist. “Your music is a bit like the strokes of my calligraphy.” The first time jazz musician Kunter ­Chang heard Tong say that, he was taken aback. 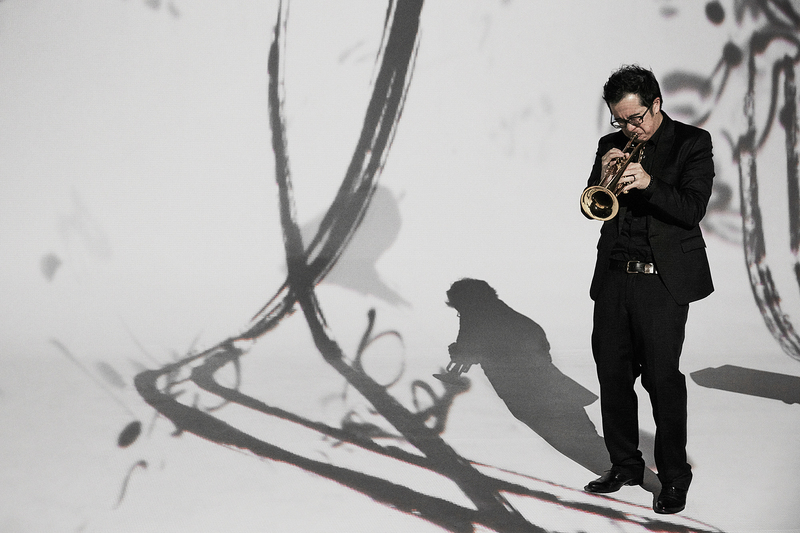 After collaborating on the exhibitions “Evoking the Soul” and “Sao” (meaning “disturbance”), ­Chang gradually come to understand that the strokes of Chinese calligraphy, which can be rounded and smooth or wild and crazy, do indeed resemble his constantly changing lines of music on the saxophone. Even more importantly, both are improvised, never to be recreated in identical fashion. Beginning in 2014, and continuing for three years, productions of Sao, Sao Plus and Sao 2016—all multidisciplinary mashups of calligraphy with modern dance, jazz and multimedia—were performed in theaters. 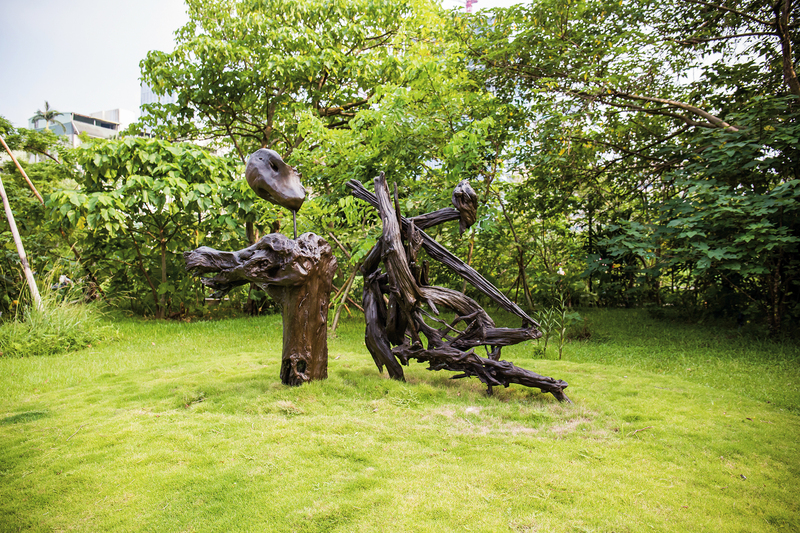 Echoing the spontaneity of calligraphy, these productions were staged without directors, scripts, scores or choreo­graphy. 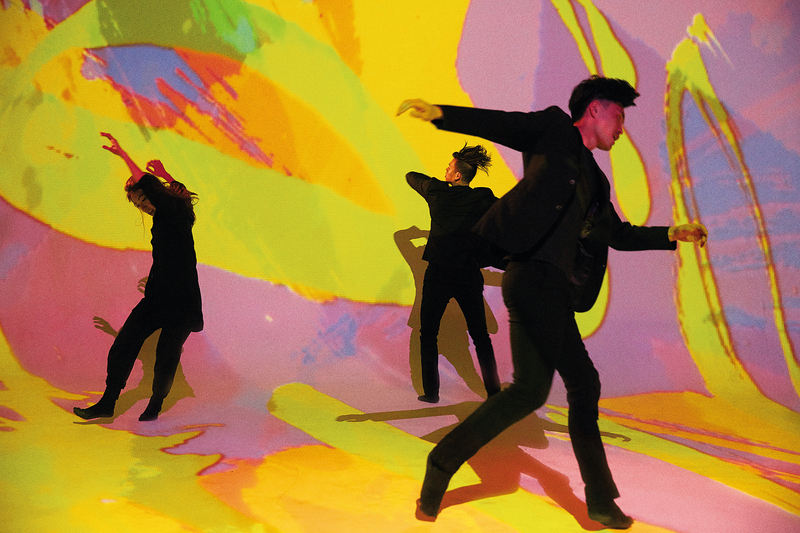 The performers relied on multimedia projections in a three-dimensional space that created a structure for the improvised music and dance to fill in and flesh out. The performances thus demonstrated tremendous exchange and flow among the artistic disciplines. 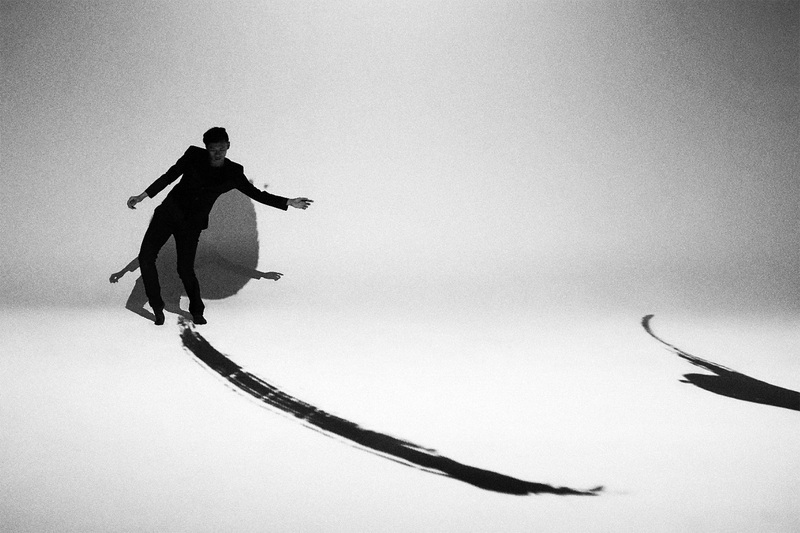 To blend these three artistic realms, the dancers, musicians and multimedia designers were all ­required to participate in the entire creative process, so that their individual characters and strengths, as well as their personal understandings of the calligraphies, would help to shape that particular version of Sao. Apart from bringing calligraphy to performance art, she has also been staking out a space for calligraphy in the realm of fashion. The exhibition “From Ink to Apparel: A Crossover between Calligraphy Art and Fashion Design” began in 2016 and will run for five years. 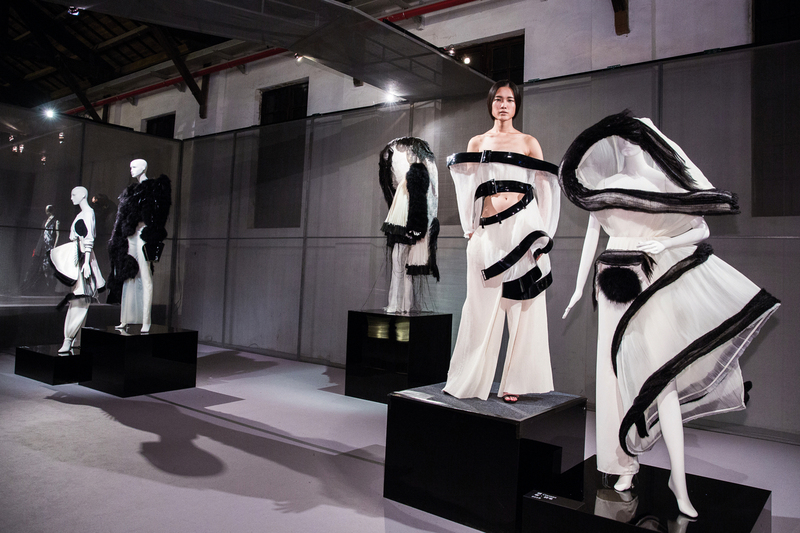 Last year, young designers were invited to create clothes inspired by the brushstrokes of Tong’s calligraphy. By deconstructing calligraphy, the shackles of the Chinese characters were discarded, turning the individual strokes into pure elements of form that could be easily appropriated into fashion design. It was right up fashion designer Chen Shao Yen’s alley. To promote the beautiful art of calligraphy, Tong Yang-tze has gathered some young friends who have returned to Taiwan after studying abroad to take part in these cross-disciplinary collaborative performances. She says that the collaboration gets her, a housewife, out of the house. Similarly, by turning calligraphy into contemporary art, she is also getting more young and old people alike to move from a state of never encountering calligraphy to taking a new look at an important part of their cultural heritage.